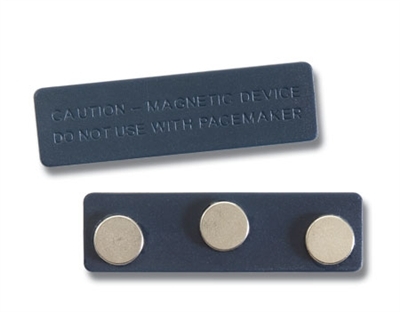 These powerful magnets are a great convenience option that eliminates the holes that a traditional name tag pin leave in clothing. Each assembly includes three Neodymium magnets for positive closure through thick clothing. A powerful adhesive backing is included to attach the assebmly your existing name tag. Purchased just in case we lost the back of the name tags. Have not had a chance to use it because the magnetic name tags are super strong.